Home	» Pen » Shaped Ballpoint Pen » Slim light up rocket shape ballpoint pen. 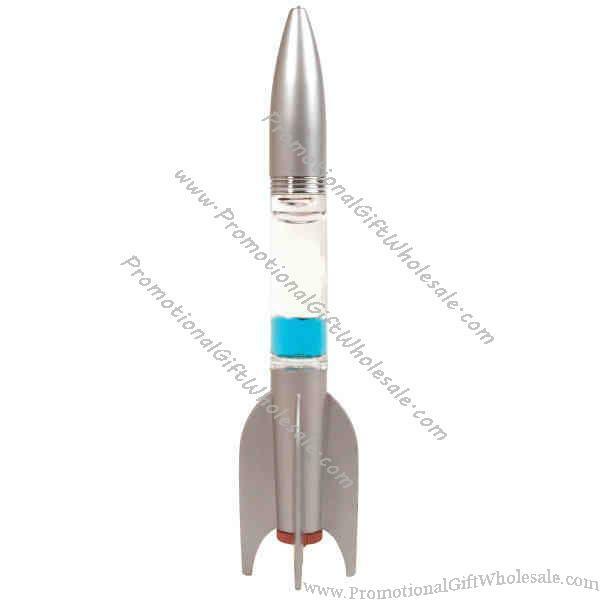 Product Name: Slim light up rocket shape ballpoint pen. 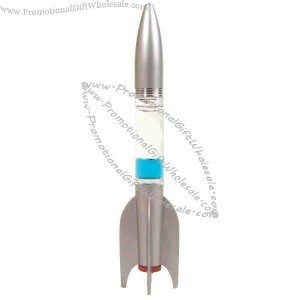 This slim light up rocket shaped ballpoint pen will definitely show off your custom printed logo or message with it's attention grabbing shape! Your clients will never be able to put this pen down! Airports, airlines, or any space travel enthusiast will be delighted with this pen. Products are not intended for use by children or pets. Plastic lipstick shaped cap-off ballpoint pen. Metallic Blue - Jet plane shaped ballpoint pen.